Our backup and web hosting servers are located at the Telehouse Europe Datacentre in the London Docklands. 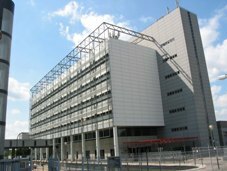 Built in 1990 Telehouse was the first purpose built data center in Europe. And offers specialist facilities including multiple external power feeds and 24x7x365 environmental monitoring, supported by UPS and generator back-up. Telehouse’s security is unsurpassed, with systems-controlled access and front-line security staff, perimeter intrusion detection equipment and CCTV, among several protection measures. 20,000m of cabling are laid in Telehouse’s UK data centres every month. This is equivalent to 240km, a distance of nearly six London Marathons, of cable being laid every year and the cooling capacity of Telehouse’s data centre in the Docklands is equal to that of 60,000 fridges.